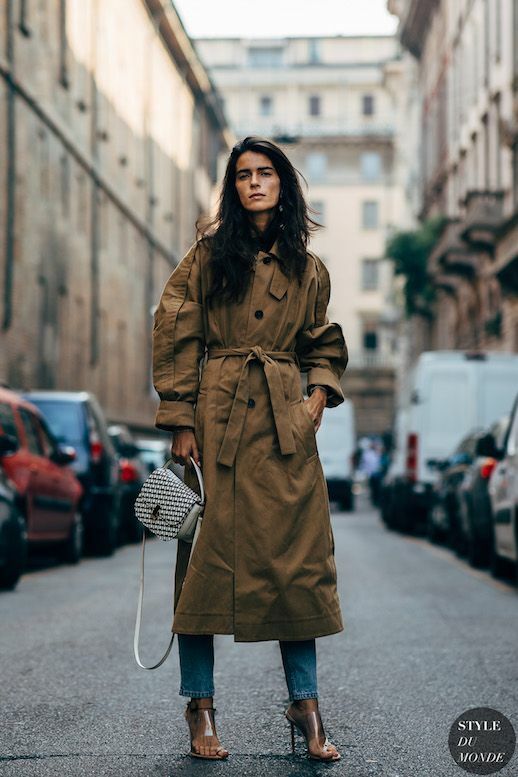 Vinyl, plaid, deconstructed edges, voluminous sleeves...the new wave of trench coats are more than just the khaki Wall Street basics of the past. Which fresh coat will keep you warm this season? Look to the street style circuit and choose one of these clever updates on this classic coat.